Do yourself and your home a favor and trust your improvement projects to the certified experts of Orion Home Improvements LLC. 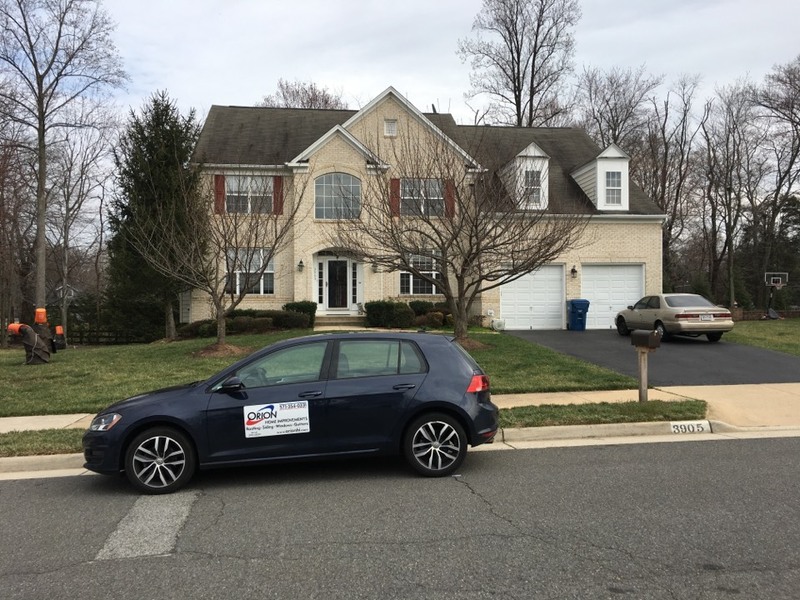 We can easily handle everything from window replacement, siding installation, gutters and roofing in Fairfax VA and Annandale. You can rest easy knowing that your home is being taken care of by certified professionals who have more than a decade of experience. 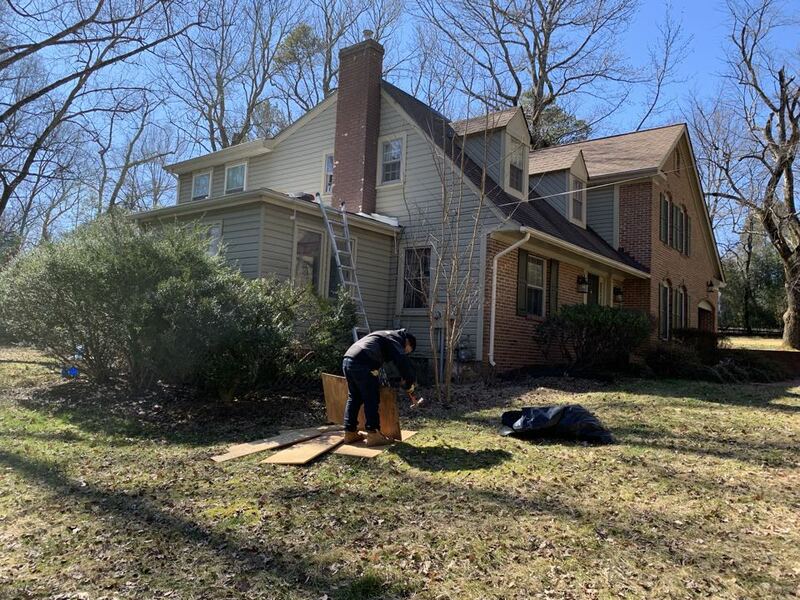 Our goal is to protect and improve your Fairfax home without demolishing your finances in the process. When Orion Home Improvements LLC is on the job, all of our work is warranted for your complete peace of mind. 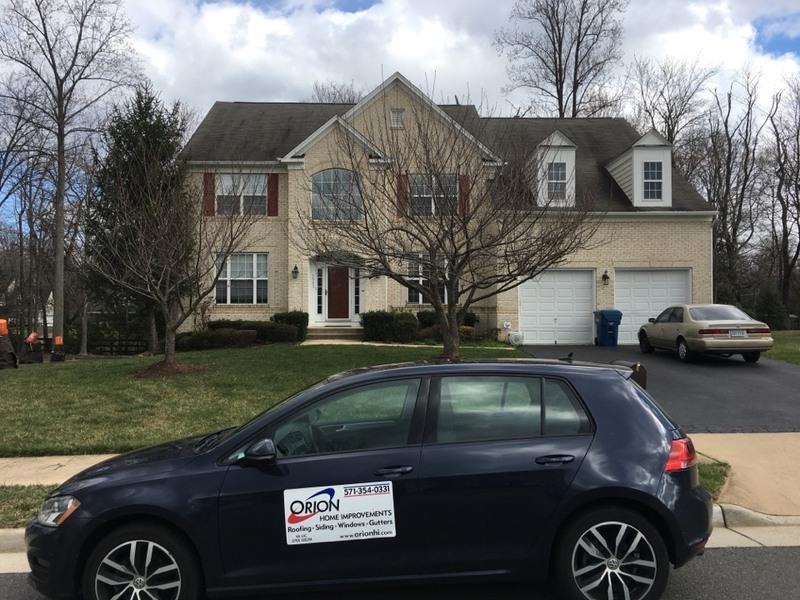 With our 100% money back guarantee, it makes no difference if you aren’t pleased with our deck construction, siding or replacement windows in Fairfax VA or Mantua, simply let us know and we will refund you every penny of your money. No matter how good of a job we think we’ve done on improving your home, it means nothing if you are not fully satisfied. We don’t settle for sub-par work, and we don’t expect our customers to either. Let us know what you’ve got in mind for you home renovations or improvements and we’ll pull out all of the stops to go well above and beyond each and every one of your expectations. In addition to improving homes in the area, we also specialize in commercial properties as well as property management companies. Every property deserves to be as visually appealing and well protected as possible, and that’s exactly what we aim to deliver to as many local customers and properties in the area as possible. 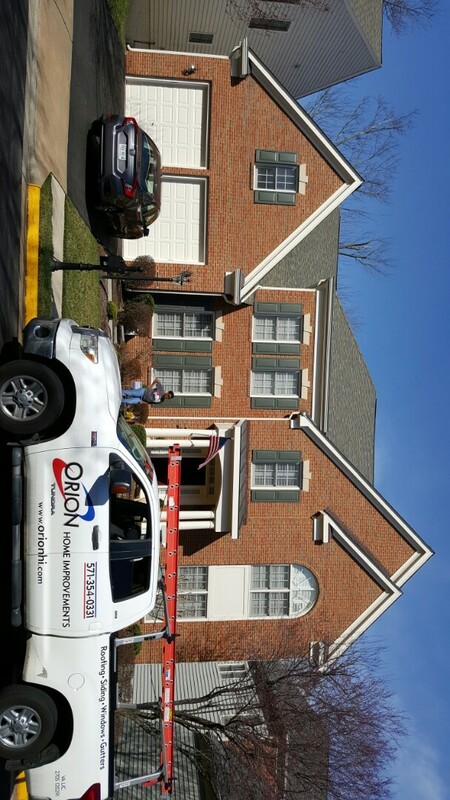 Orion is out here in Fairfax working on this flat roof replacement. We are providing and installing GAF Everguard TPO. 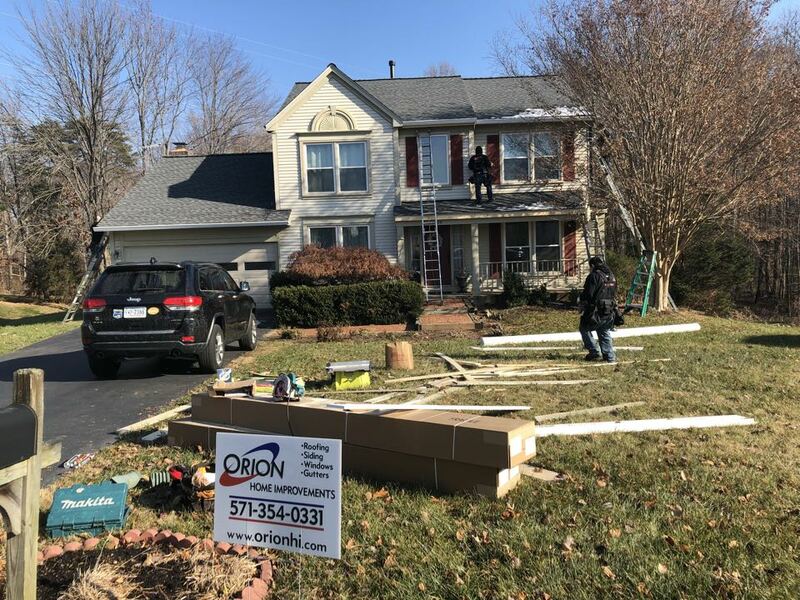 Orion Home Improvements has successfully replaced the entire roof, the gutters, and some of the fascia and rake boards. The client is completely satisfied with our quality of work and customer service. 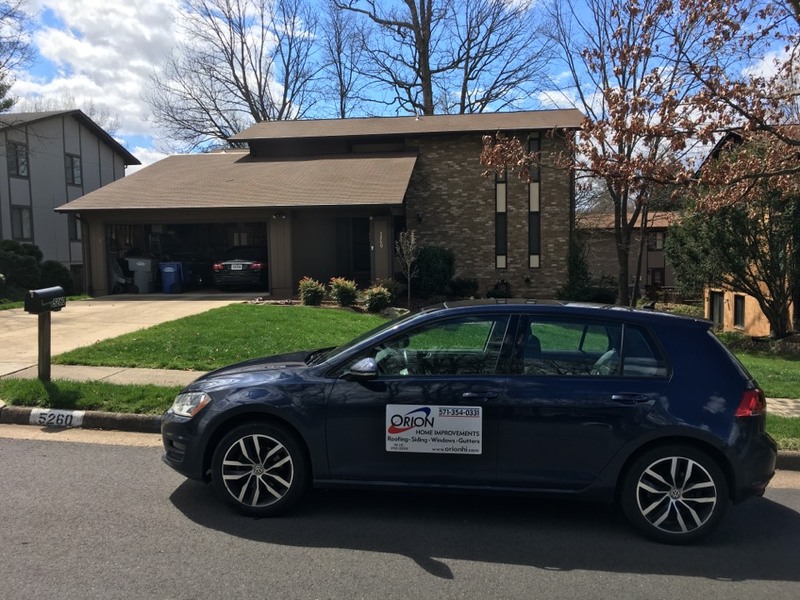 OHI has successfully replaced the entire roof with GAF Timberline HD shingles, and we just passed the final inspection with the clients. They’re very happy with our work and customer service. Right now, the crew is currently working on replacing their gutters and downspouts, with some minor wood replacement (fascia and rakes). A bunch of critters got at the trim around this lovely house. OHI is going to replace the wood and cap it. Presentation call for replacing the roof. 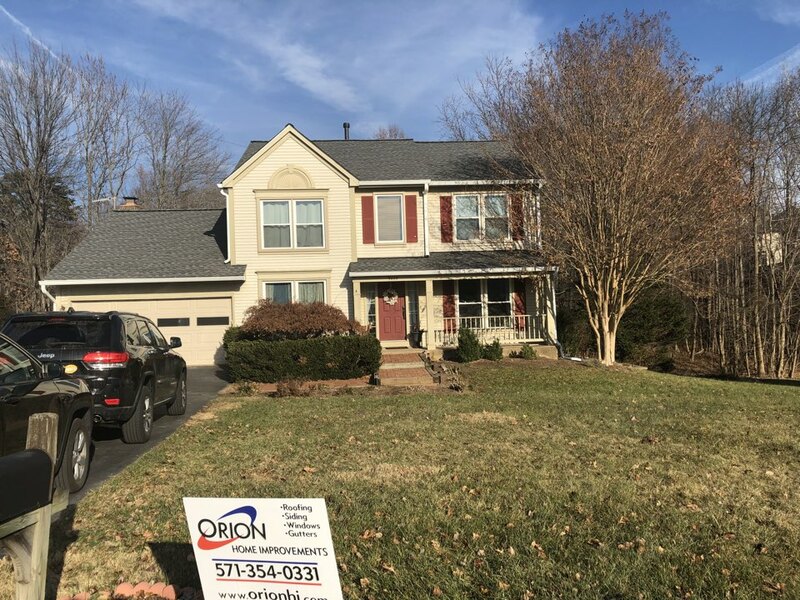 Call Orion Home Improvements LLC at (571) 354-0331 if you’d like to learn more about quality roofing or siding in Fairfax VA and Oakton. We also have a Contact Us form here on our site that you may fill out if you wish.